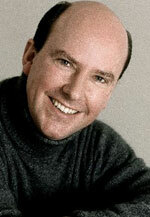 Neal Davies studied at King’s College, London, and the Royal Academy of Music, and won the Lieder Prize at the 1991 Cardiff Singer of the World Competition. He has appeared with the Oslo Philharmonic under Mariss Jansons, the BBC Symphony with Pierre Boulez, the Cleveland and Philharmonia orchestras with Christoph von Dohnányi, the Chamber Orchestra of Europe with Nikolaus Harnoncourt, the Orchestra of the Age of Enlightenment with Frans Brüggen, the Gabrieli Consort with Paul McCreesh, the Hallé with Mark Elder, Concerto Köln with Ivor Bolton, and the London Symphony and Vienna Philharmonic orchestras with Daniel Harding. He has been a regular guest at the Edinburgh Festival and the BBC Proms. He has also appeared at major opera houses including the Royal Opera House, Covent Garden, English National Opera, Welsh National Opera and Scottish Opera, as well as in Paris, Marseille, Salzburg and at the Lyric Opera of Chicago. His wide discography includes Handel’s Messiah, Theodora and Saul and Haydn’s Die Schöpfung (Gramophone Award, 2008) under McCreesh, Janáček’s Jenůfa and The Makropulos Case under Sir Charles Mackerras, Barber’s Vanessa under Leonard Slatkin, Messiah under René Jacobs, Beethoven’s Symphony No 9 under Osmo Vänskä, the Hyperion Schubert Edition with Graham Johnson and Britten’s Billy Budd with Daniel Harding (Grammy Award, 2010). Neal Davis a étudié à King’s College (Londres), ainsi qu’à la Royal Academy of Music de Londres. En 1991, il remporte le prix des Lieder à la Cardiff Singer of the World Competition. Au cours de sa carrière, il a notamment collaboré avec Mariss Jansons, Pierre Boulez, Nikolaus Harnoncourt, Stephen Cleobury, Paul McCreesh, Ivor Bolton, René Jacobs, Leonard Slatkin, et Sir Mark Elder, la London Symphony, la BBC Symphony, la Philarmonique de Vienne, le Hallé, Cleveland, la Philharmonia, la Philharmonique de Bergen, et les Orchestres de Chambre Écossais, la Philharmonique d’Oslo, l’Académie de Musique Ancienne, l’English Concert, le Gabrieli Consort, et le Concerto de Cologne. Il a également participé au Festival d’Édimbourg et aux BBC Proms. On retiendra ses apparitions à l’opéra dans Les Noces de Figaro, La Clémence de Titus, L’Affaire Makropulos, Don Giovanni, La Rivière aux Courlis, Così fan tutte, La Flûte Enchantée, L’elisir d’amore, Madame Butterfly, Xerxes, Jephtha, Giulio Cesare, et Le Mikado, ainsi que sa collaboration avec l’Opéra Lyrique de Chicago, le Royal Opera, Covent Garden, l’English National Opera; l’Opéra de Montréal, l’Opéra National du Pays de Galle, le Deutsche Staatsoper Berlin, l’Opéra de Rome, et l’Opéra d’Écosse. Sa discographie couvre un grand nombre d’œuvres, dont Le Messie, Theodora, Saul, et La Création (Gramophone Award, 2008), interprétés sous la baguette de Paul McCreesh, L’Affaire Makropulos sous la direction de Sir Charles Mackerras, Jenůfa, et Billy Budd de Britten sous celle de Daniel Harding (Grammy Award, 2010). Neal Davies studierte am King’s College London und an der Royal Academy of Music und gewann den Liederpreis am Cardiff Singer of the World Wettbewerb von 1991. Seine Karriere umfasst die Zusammenarbeit mit Mariss Jansons, Pierre Boulez, Nikolaus Harnoncourt, Stephen Cleobury, Paul McCreesh, Ivor Bolton, René Jacobs, Leonard Slatkin, und Sir Mark Elder; mit dem London Symphony und dem BBC Symphony Orchester, den Wiener Philharmonikern, den Orchestern des Hallé, Cleveland, Philharmonia, Bergen Philharmonic, sowie dem Scottish Chamber Orchestra, dem Oslo Philharmonic, der Academy of Ancient Music, dem English Concert, dem Gabrieli Consort und Concerto Köln, sowie dem Edinburgh Festival und den BBC Proms. Zu seinen Opernauftritten gehören unter anderen Rollen in Le nozze di Figaro, La clemenza di Tito, The Makropulos Case, Don Giovanni, Curlew River, Così fan tutte, Die Zauberflöte, L’elisir d’amore, Madama Butterfly, Xerxes, Jephtha, Giulio Cesare, und The Mikado, in Opernhäusern wie dem Lyric Opera von Chicago; dem Royal Opera, Covent Garden; English National Opera; Montreal Opera; Welsh National Opera; in der Deutschen Staatsoper Berlin; der Oper Rom und dem Scottish Opera. Eine breitgefächerte Discographie umfasst den Messias, Theodora, Saul, and Die Schöpfung (Gramophone Preis 2008) unter Paul McCreesh; Jenůfa and Makropulos Case unter Sir Charles Mackerras, sowie Brittens Billy Budd mit Daniel Harding (Grammy Award 2010).